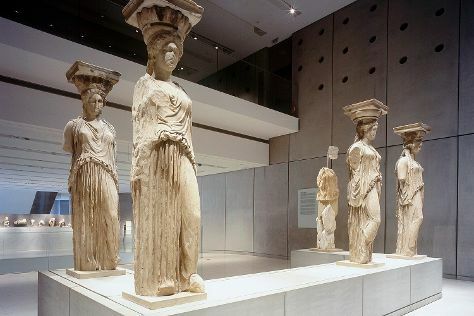 On your second day here, appreciate the history behind Temple of Olympian Zeus, then get engrossed in the history at Acropolis Museum, and then delve into the distant past at Acropolis of Athens. For where to stay, maps, other places to visit, and tourist information, use the Athens trip itinerary planning tool . Singapore, Singapore to Athens is an approximately 15-hour flight. The time zone changes from Singapore Time (SGT) to Eastern European Time (EET), which is usually a -6 hour difference. Prepare for colder weather when traveling from Singapore in December: high temperatures in Athens hover around 17°C and lows are around 9°C. Wrap up your sightseeing on the 6th (Thu) to allow time to travel to Fira. Santo Winery and S.M.A.G Spira Marble Art Gallery are good opportunities to explore the local culture. Escape the urban bustle at Scuba & Snorkeling and Perivolos. Explore Fira's surroundings by going to Santo Horse Riding (in Akrotiri), Mnemossyne Gallery (in Oia) and Eduart Gjopalaj (in Kamari). There's much more to do: stop by Aquamarine Jewelry, explore the striking landscape at Skaros Rock, view the masterpieces at Tzamia - Krystalla Art Gallery Santorini, and get a taste of the local shopping with MATI Art Gallery. To see more things to do, other places to visit, maps, and tourist information, refer to the Fira trip itinerary planning tool . You can fly from Athens to Fira in 3.5 hours. Alternatively, you can do a combination of taxi and ferry; or do a combination of flight, taxi, and ferry. 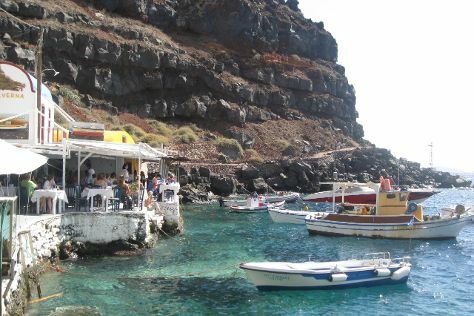 December in Fira sees daily highs of 18°C and lows of 13°C at night. Finish your sightseeing early on the 10th (Mon) to allow enough time to travel back home.